Everyone expects IT support staff to have all the answers. But what if tech support has its own questions? If this is you, we have some tender love and care for you. So, keep reading. IT service desk staff handling hundreds of help requests everyday need support too. Here are some of the most frequent service desk questions — and our answers. Think of this as a support solution for IT Professionals. 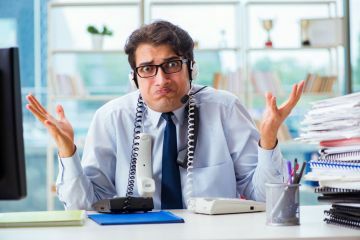 Q: How can I best handle complaints about the service desk, without getting defensive or glossing over actual problems? A: IT support staff working on service or help desk platforms often take the brunt of complaints and issues. After all, it’s a help desk, and people are not getting in touch to tell you that everything is fine and happy. Not all complaints or requests for assistance will come in a friendly, productive manner, and that can be a challenging aspect of being an IT Support professional. We believe a great approach to this is to proactively determine if your help desk is meeting user needs. In many organizations that means meeting with department heads to discuss how effective the help desk is in resolving issues. Ask for their input and ideas for what could be improved. Taking a proactive approach like this is a good way to maximize the efficiency of your process. It means you are “leading the way”, rather than just reacting to every issue. All IT support staff can benefit from customer service training. Good training can help staff be better listeners and be better at communicating with users in a helpful way. Listening skills are key! Finally, you can use reporting tools within your software to track technician performance. This is one of the simplest ways to identify problems that need fixing on your end. Q: How do I foster a good relationship between my staff and our end users? A: Communication is key in any type of working relationship. Problems often lie in misunderstandings because of poor or a lack of communication. In the IT support world, communicating proactively keeps administrative and end-user expectations in check with what you are doing. For example, simply communicating variations in your hours of operation (i.e. holidays or training periods) or service level agreements can help you avoid a customer relationship issue as well as a technical issue. This type of open communication can also help encourage positive, two-way feedback. Imagine a major issue that affected a lot of your end users was just resolved. Being a proactive communicator, you want to make your end users aware of the solution. Instead of simply announcing the issue being resolved you want to ensure them that this kind of issue will be prevented. You could announce a new training initiative for your staff educating them more on your product or service. Then invite suggestions for improvement to handle situations like that in the future. In reality, no service desk has ALL the answers. But open lines of communication encourage understanding and room to learn and become better. Don’t be afraid to also communicate some weaknesses. You can foster many fruitful relationships by simply facilitating positive communication. Q: There are a lot of help desk platforms on the market, and I want the best one for my company, and for my IT staff to use. How can I narrow down the choices in software purchasing decision-making? A: The key to finding the right help desk software for your company is to fully understand what you need from a service desk before you jump into buying a program. You can learn this by conducting a business analysis. A business analysis will give you a detailed picture of what is working for your organization, what isn’t working, and what problems might need to be addressed with a help desk. For instance, if your company has a lot of tech assets and you are having a hard time keeping track of what is online and what is offline, or you suspect a certain computer or network is frequently experiencing outages, you’d be wise to preview help desk platforms with asset tracking tools. Consider whether you need a platform that enables mobile/cloud access. Do you have staff working in various locations, at various times, or using a BYOD? Cloud or web-based help desk systems are often more flexible than an on-premise platform in these cases. Perhaps most importantly you can — and should — try your help desk software before you buy it. Most providers offer a trial period or free online sandbox to try it out first. Q: How can I empower staff to help themselves, with issues that have already been identified and reported? A: It can be frustrating fixing the same problem over and over again. Consider a help desk platform that enables users to search through an existing knowledge base before submitting a ticket. You will find this kind of help desk system reduces the workload for IT support staff, so you can deal with more serious issues. It makes your workplace more efficient. And it can improve the morale of staff when they can take ownership and resolve their own issues. With efficient help desk software, any IT support team can be a great asset to its organization. By choosing the right tool for your IT support team, and by helping them receive the right training and help, you are looking after your help desk team, so that it can support workers (your end-users) in need. Remember, whether you feel overwhelmed, underutilized or insufficient, you are not alone! There are tools and a community to help you with the same problems. Keep up with them by subscribing to our monthly newsletter here.